The Freemasons are the longest-lasting secret society (that the general population is aware of) still in existence. They’ve become synonymous with secret handshakes, bizarre rituals and a hierarchy in which members move up through various levels as they gain experience and respect within the society. Originally formed by the union of several smaller societies, the first “lodge” was founded in London in 1717, but at that time rumors of the Masons’ existence had already been circulating for at least a century. Most modern secret societies take their cue from the Freemasons by incorporating handshakes, code words, private rituals and complex chains of command. In 1954, the world’s most influential movers and shakers met in a hotel to discuss and plan the coming year’s global agenda. They have continued to meet every year, but the content of their talks has remained a zealously guarded secret. 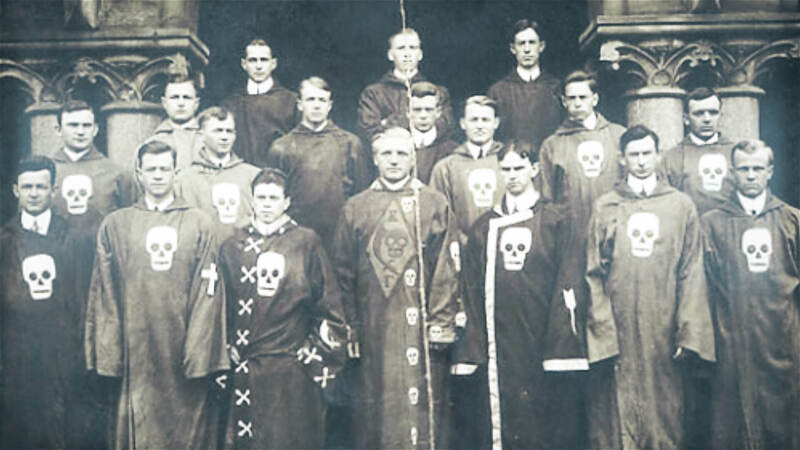 They are not technically a secret society, since their existence and membership are not in question, but many conspiracy theorists worry about the influence and reach of their annual meetings.